Everyone Can Do It: Exercising in the water has been shown to be a great calorie burner and no matter what age, weight, or fitness level, anyone can perform and benefit from water exercise. Water Training is Low Impact: Waters buoyancy allows for reduced impact on your joints. This reduced weight bearing is one of the many advantages of exercising in water, it allows people to perform activities that are not always possible on land such as higher intensity exercises like jogging. Water is Resistive and Safe: I like to refer to the water as “The Great Equalizer” meaning the harder you push against the water, the harder the water pushes you back. So no matter what age or fitness level you are, you control the amount of resistance, which is a very safe and effective way to train. Water also forces your muscles to work harder, helping you burn fat and tone muscles more quickly than land-based exercise programs. Burn Calories: Because of the added resistance in the water, you’re actually working harder than you would on land to complete the same exact movements, even if it doesn’t feel like that. Research studies have shown that exercises performed in water created a higher energy output than on land. Exercising in warm water also increases your body temperature and burns even more calories during your workout. Vertical aquatic exercise depending on your intensity has been shown to burn up to 400-600 calories in an hour! Less Soreness: Warm water will help to improve the flexibility of those tight muscles that you have developed over the years. With less gravity there is less risk of muscle soreness which will increase your exercise tolerance. In the water you are able to exercise everyday without increased muscle soreness. It’s Fun: Exercising in the water does not really feel like you are exercising. If an activity is fun people usually tend to stick with it. It’s Convenient: There are a significant number of people who are very intimidated to join a gym never mind the feeling of putting on a bathing suit in public! It has been shown that over half of people who join a gym do not attend consistently. Exercising in your pool or swim spa in the privacy of your own home will make things so much easier and your weight loss goals more attainable. Of course, it’s important to consult a physician before beginning any weight-loss routine. But for individuals who struggle to lose pounds or to maintain a healthy weight, an American Spa™ may be a valuable and enjoyable weapon in the battle for healthy weight loss. So, what are you waiting for? Get in the water and get a jump on losing those holiday pounds. Don’t have an American Spa™? 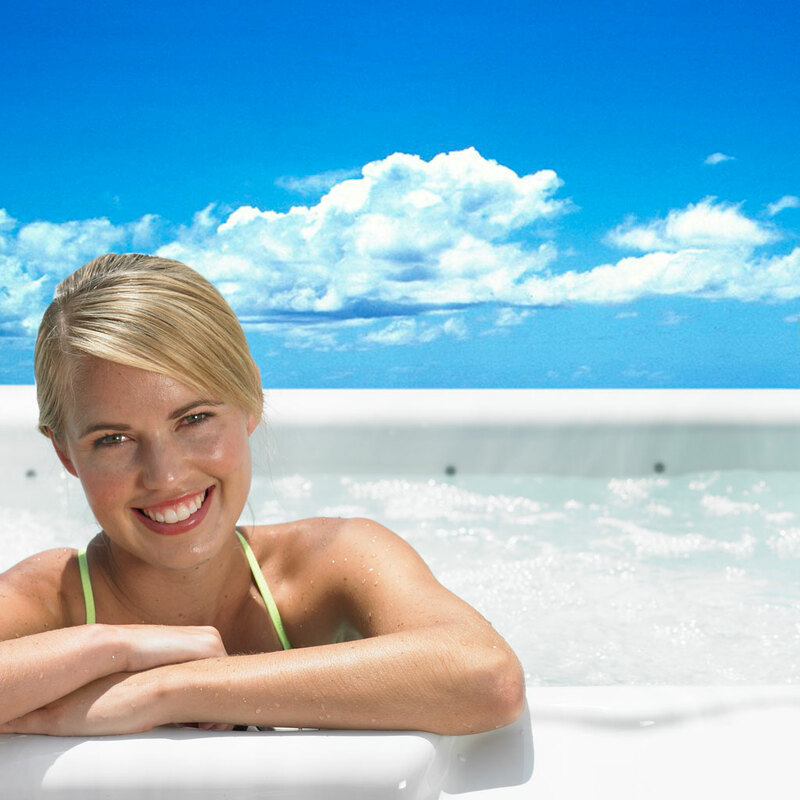 Go to our website now browse our Spa Showroom and pick out the right spa for you today! Don’t know where to start? Read our Blog and pinpoint your personal needs.